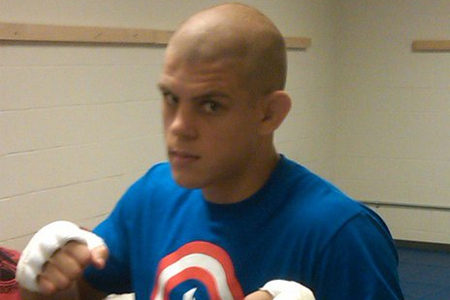 Melvin Guillard was supposed to steamroll Joe Lauzon (Pictured) at UFC 136 and launch himself into a lightweight top contender spot. Guillard must have known he was an overwhelming 4.5-to-1 favorite, because he certainly acted like it. Just hours before he was to take the stage on Saturday, “The Young Assassin” felt comfortable enough to attend the UFC’s Fan Expo to pose for pictures and sign autographs. Was Guillard looking past his formidable opponent? Possibly. Did Guillard tap to a rear-naked choke in a matter of 47 seconds? Yes. “I was back in the hotel room taking it easy and relaxing because I knew I had to tend to business,” Lauzon said of his pre-fight ritual. “I definitely think he was overlooking the whole entire thing. Unfortunately for the brash slugger, J-Lau took notice of his premature celebration and used that as motivation to serve up the biggest upset special of the night. Guillard’s antics didn’t get past UFC president Dana White’s watchful eye, either. “He came dancing in there like he won. Like he just won the fight, instead of being serious,” White expressed. Lauzon bumped his record to 21-6 following the victory. Seventeen of his wins have now come by way of submission.